DJ Mighty Mike of Cemetery Knights will be providing tunes for your listening pleasure throughout the weekend. There will be a joint dinner for NHAA and PCS Saturday night, 7:00 pm at one of the host hotels TBA. Swap meet will be active Friday evening at the NHAA host hotel, in addition to during the car show. Buying, selling, trading is encouraged 24/7 during the meet. Also, our special discounted hotel rate lasts through April 15th as well. Afterwards, any unbooked rooms will revert to the standard rate of $150+/night. Please book your room now if you have not done so. You may cancel up to 24 hours in advance with no fees. You can find more information about booking on the registration page. Hi all, if you are planning to go to Asheville this year, please go ahead and register. We need everyone's t-shirt sizes and registration fees to pay for the shirts. Registration for our 2014 Asheville meet is online! 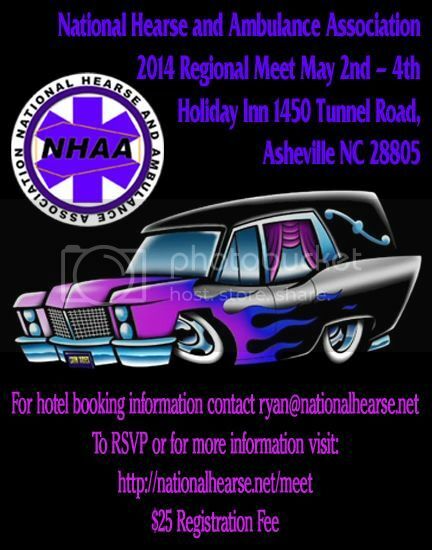 Hi all, mark your calendars for the 2014 2nd annual NHAA South Eastern Regional Meet, Asheville, NC May 2nd - 4th, 2014. Registration, $25 includes badge and t-shirt. Just a reminder - if you are in the south east, we want to see you here. Thanks again to Kara Chapin for making this flier. N.B. 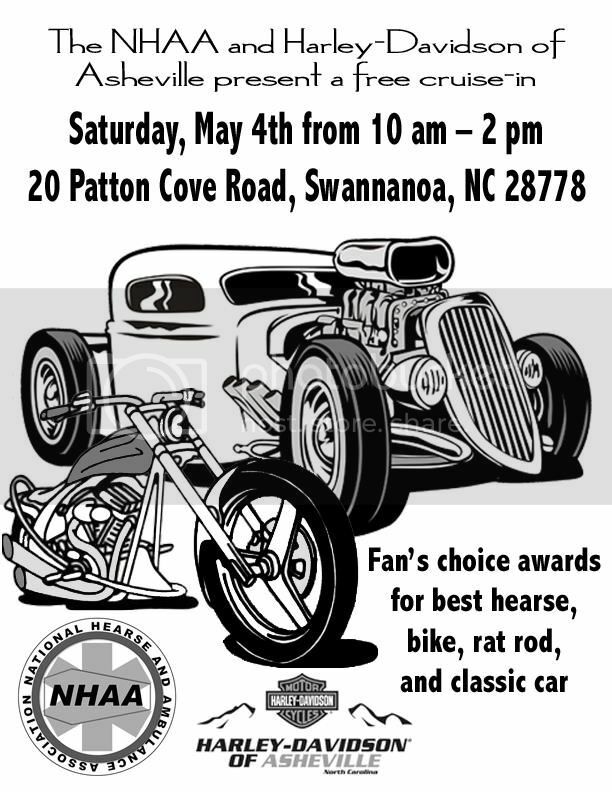 *this* flier is designed for online advertisement of the entire NHAA regional meet itself, and is directed towards hearse owners. 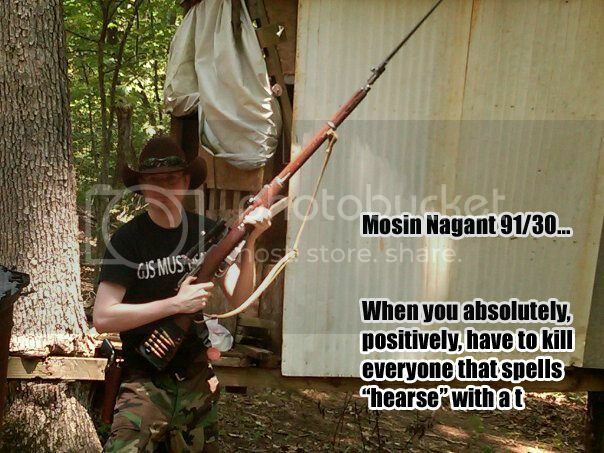 We need to make sure this flier finds its way to every message board and hearse group east of the Mississippi. the *previous* flier is meant to advertise locally in print and electronically around the asheville, NC area and is directed towards the other car and bike clubs there. So if you have hearse friends, share *this* flier. if you are talking to other car clubs in asheville, show the previous flier. Thanks for your understanding. please share or comment if you are interested in attending. we'll have a flier with more general information about the event soon. Hi all, exciting news! The Harley Davidson dealership in Asheville, NC has agreed to host our cruise in/swap meet. They will invite local car clubs and handle all the advertising. NHAA South Eastern Regional Meet hotel information! Hotel will be the Holiday Inn Downtown: 42 Tunnel Road, Asheville, NC 28805. Click here for booking: http://www.holidayinn.com/hotels/us/en/asheville/avlea/hoteldetail?cm_mmc=mdpr-_-GoogleMaps-_-hi-_-avlea. Please book with group code HRS. AGAIN PLEASE BOOK WITH GROUP CODE HRS!!! We are holding 20 rooms: 15 doubles and 5 kings. Max people per room is 8, 4 comfortably. This block of rooms will be available until April 3rd, but please book early. Rooms will also include two breakfasts per room. Rooms are $109 per night, sunday night is $99 if you want to stay then. 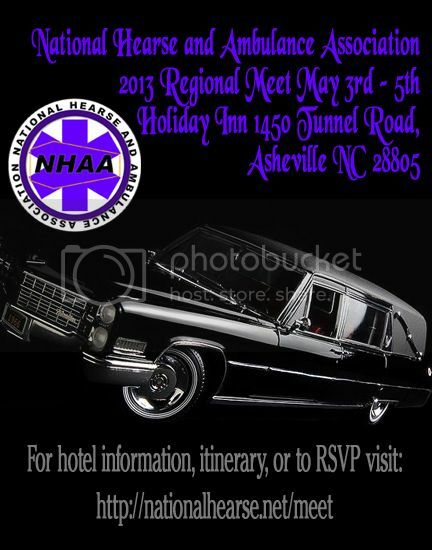 The National Hearse and Ambulance Association's South Eastern Regional Meet (NHAA SERM) will be held in Asheville, North Carolina from May 3rd - 5th, 2013. This event is open to all hearse owners and enthusiasts regardless of membership in the NHAA or a NHAA member club. We are still working out the details, but please RSVP on the facebook invite if you would like to attend. Hotel TBA, but expect rooms to be around $110 per night. Rooms should be able to accommodate up to four guests comfortably. Use of hotel conference room will run around $100, which will be split between attending clubs. We need to check if that is just for one day, or for the entire weekend. Location and event scouting will take place during the first or second weekend of november. Please contact Carolina Coffin Cruisers if you would like to participate. This is pre-registration for a possible annual NHAA meet. This year, we will hold it in Savannah, Ga. We will be staying in a hotel within walking distance of down town, yet also has plenty of parking. There is plenty to do in Savannah, including ghost tours, cemeteries, forts, and of course, the beach. Here is the facebook invite: http://www.facebook.com/events/266457566802424/ If you want to attend, ask to join the dead ends hearse club on facebook. Dead Ends needs your help for some funding. 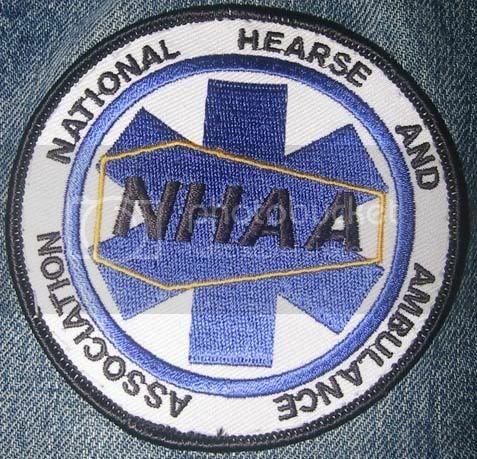 Please consider buying some National hearse and ambulance association patches. You can buy them through ebay, or just PM me. $6 shipped. NHAA Patches are available and ready for immediate shipment or local pickup. $6 shipped, $5 local pickup. Local pickup being within reasonable driving distance of Atlanta, GA. Send money via paypal to ebaysales@dead-ends.com. Be sure to include your shipping address. On ebay. I believe there are only two known to exist. I'm sure it will go to a good home. I have submitted the order for NHAA patches. It will take approximately three weeks to manufacture the patches and have them shipped to me. If you would like to pre-order, please send $6 to ebaysales@dead-ends.com. Shipping is included. Please be sure to give me your address. $5 if you are local and want to pick up your patch in person.